The Editorial this week highlights:- a. Everyone in the tourism and travel trade are now back from World Travel Market (WTM) 2018 in London. b. Tourism Budgets – this is the time to call for it . c. Kenya’s Minister Najib Balala got Richard Quest in its visibility drive. 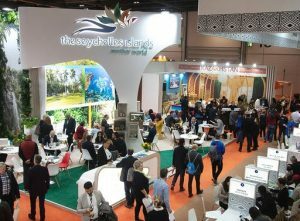 d. World Travel Market (WTM) 2018 in London. e. At WTM 2018 metting many old friends and renewed many acquaintances. Stand alone articles this week:– 1. 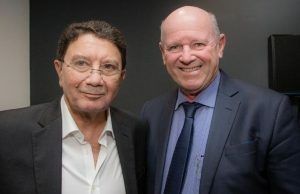 African Tourism Board cooperation with UNWTO and other organizations by eTN News. 2. Seychelles Ferry Company gets ISO 9001. 3. Casino cooperation London – Seychelles. 4. Daniella Payet-Alis wins prestigious PanAfrican Lifetime Achiever Award for the Indian Ocean Region. 5. Mauritius & South Africa wins Award at the inaugural International Travel & Tourism Awards 2018. 6. Strong Seychelles delegation attends World Travel Market in London led by Minister Dogley. 7. Seychelles Magazines at WTM 2018. 8. Aldabra corals grow down the deep sides of the channel creating one of the most magnificent features. 9. TUI Group charter flight direct from Amsterdam to Mombasa. 10. PATA Advocacy Dinner 2018 in London. 11. Reunion Island courts Mauritius resident to visit. 12. Air Tanzania to launch China flights in February. 13. Seychelles’ Conservation and Climate Adaptation Trust-funded spiny lobster project find two lobster exoskeletons whilst snorkelling for lobster larvae traps. 14. Egypt minster of tourism open ITCMS 2018 (International Travel Crisis Management Summit) of London. 15. Making Mauritius & the Vanilla Islands proud. 16. 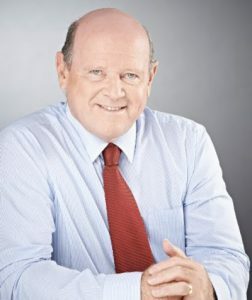 Tourism Minister Edmund Bartlett wins International Institute for Peace through Tourism Champions in Challenge Award. 17. WTTC spells out the bare facts. 18. & Another speaker came from Trip Advisor. 19. AFRAA in final preparations for 50th Annual General Assembly. 20. Sri Lanka Tourism launches its new brand identity ‘So Sri Lanka’. 21. International Newswires continue to republish our Report. Welcome to Edition 45 of the Saint Ange Tourism Report. Everyone in the tourism and travel trade are now back from World Travel Market (WTM) 2018 in London where innovations by tourism destinations for 2019 was heard and discussed, and where the world spoke as to why their actions made them the better holiday destination. I can say it was a great WTM for me, connections were made, friendships strengthened and the working spirit with tourism and travel institutions re-established. The soft launch of the African Tourism Board was made, this year’s International Travel Crisis Management Summit at The Royal Institution was a real success, the 7th Aligned Advocacy Dinner of Pacific Asia Travel Association (PATA) at the Great George Street Westminster was an event to be remembered, and the World Tourism & Travel Council (WTTC) reception at the lovely Chesterfield Mayfair Hotel was the opportunity for the Who Who’s in Tourism to meet again. Tourism remains the people’s industry. Friends continue to work with friends and the smile and hug when friends see each other again is a sight in itself. I say a big thank you to all my friends from the days when I was in my Ministerial Office for making time to meet and discuss tourism and to offer possible cooperation. Together we still can make tourism the industry for all. It is budget time again and the Government’s proposal for tourism will be analysed by the National Assembly. 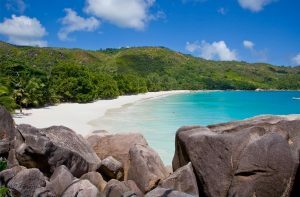 The decisions reached will impact the tourism and travel staff, Seychellois ‘home grown’ investors and the industry’s major players for the coming year. Tourism is a fragile industry and the continued investment into the tourism industry by the country is so needed. Too much is at stake for the people of Seychelles for the country to allow this pillar of the island’s economy to stagnate. Developing new tourism source markets is as important as is the consolidation of the island’s key traditional markets. Diversification of markets ensures resilience in bad times. 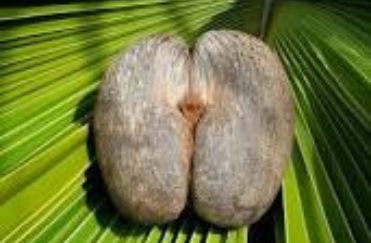 Seychelles like any other tourism destination must realise that its natural attractions or assets such as the white sand beaches or the unique coco de mer nut is not enough anymore to attract visitors and ensure adequate visibility for the islands. Going the extra mile to remain relevant is needed and this will cost. The goose that lays the golden egg needs to be nurtured. On the business front Seychelles needs to see how the smaller “Home Grown” tourism establishments can be assisted. The VAT as it stands cannot just be passed on to the visitors and is just being absorbed by the small establishment owner and paid into the State coffers way before they get paid by their overseas partners. A two tier system was proposed before for VAT. Separating the accommodation form all meals and extras will help the industry bearing in mind that VAT is already paid on goods produced and prepared as meals. This is VAT on VAT. Secondly as it is Budget time it is important that Seychelles rethinks about its Business Tax. The Business Community is currently paying 30% Business Tax and this little to no incentive at all. The need for halving this amount is being mooted everywhere and this will be the seen as the needed incentive to help businesses to grow and it will create employment. Feed the business world so they can be more profitable. Thirdly increases in Budget 2019 we see a sugar tax that will directly or indirectly find its way to the Seychelles visitors because sugar is used a lot in every hotel. The Sweets Buffet and other such surprises may well end up being uncalled for surprises. 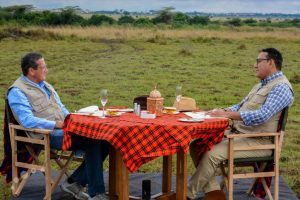 The visit to Kenya by Richard Quest of CNN was a coup in itself for the East African Country that is working tirelessly to consolidate its tourism industry. Minister Najib Balala ensured that his country’s hosting of Richard Quest took in the unforgettable ‘sights and sounds’ of Kenya as well as interactions with his Team at the Kenya Tourism Board. World recognised personalities are always a plus when they set foot in a tourism destination and how to manoeuvre to attract them is always the challenge. Visits by such know television personalities are always in demand because every holiday destination wants them to see and to know their own destination. How to succeed is often the personal relationship that is developed by those in charge of tourism and the country. World Travel Market (WTM) 2018 has come and gone. The different holiday destinations have once again come together, and each in their own way they have tried over the last couple of days to push their country ahead of the pack. This is not as easy as some will want to make believe. Fishing from the same bank is in fact fighting for a fairer share of the same tourism market. Lots of money is spent to create the ‘WOW Effect’ and then it remains the matter for the Tourism Ministers and the Heads of Tourism Boards to work alongside their private sector trade and to sing the same song to ensure their destination is the one that makes its mark to be include or just re-included in tourism programmes, and more importantly to be pushed as the destination of choice. Who has succeeded at WTM 2018 will be seen next year and during the course of the coming years. Strategy that touches sustainability and eco friendly developments were touched by many wanting to be seen as good custodians of what they had been blessed with. Actions speak louder than words and the support for the NGOs who are the ears and eyes of countries in the world of protection and of the environment is more and more noted as is the encouragement for the private sector trade. Encouraging the private sector to work is the key for continued success by tourism destinations and this is removing obstacles and all barriers because they remain key partners of any tourism destination. Many meetings were held during WTM 2018, and doors are opened because of existing friendships. Coming conferences and tourism events that will mark the industry are being planned and all will, at the end help fly the flag of destinations to float a bit higher than before. Maintaining friendships in the world of tourism remains key to success and many such friend were at WTM and made time for meetings and discussions. Thank you all.